Small batch vanilla cheesecake on a biscoff crust topped with a blackberry glaze. Simple to make and delicious, this blackberry glazed vanilla cheesecake with biscoff crust is the ultimate summer dessert. I’ve been waiting so long to share this cheesecake with you. Or at least, it feels like it. If I were to pick a favorite dessert, I think it might have to be cheesecake. If I could eat cheesecake without having to worry about the repercussions of eating too much of it, I could probably eat several slices in one sitting. There’s something about the creaminess of the cheesecake filling, the sweet crumbliness of the graham crust that’s just so addictive to me. Did you guess that the Cheesecake Factory is one of my favorite dessert place? Sooo many cheesecakes to choose from! Lol. Lately, all I can think about is just how amazing cheesecake would taste if instead of a crust made of crushed graham crackers, I had a crust made of crushed Biscoff cookies. I mean, it’s like a cookie butter crust. How can it not taste good, right? So I set about making this happen. 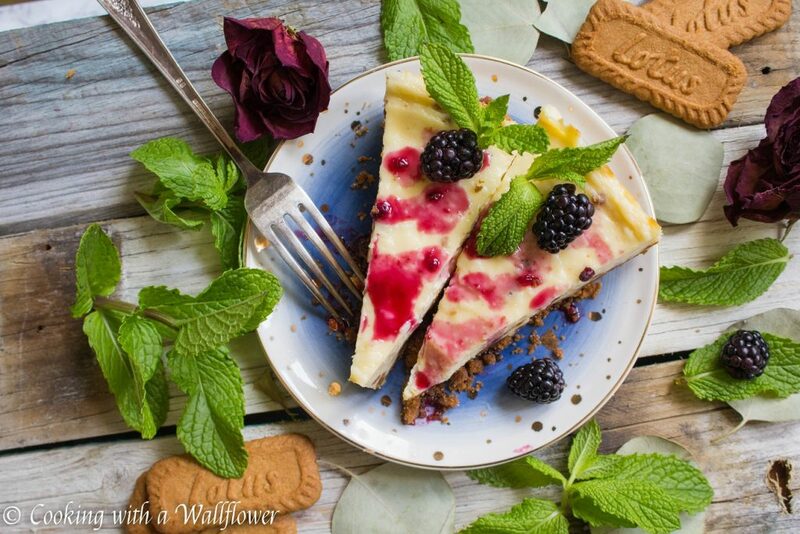 And this blackberry glazed vanilla cheesecake with biscoff crust is the result. 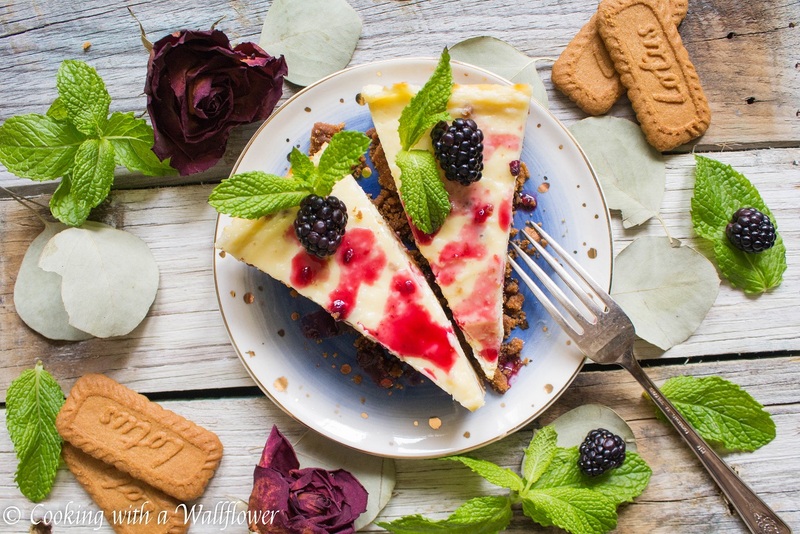 If you’re a fan of cheesecake, you’ll definitely want to try this version. 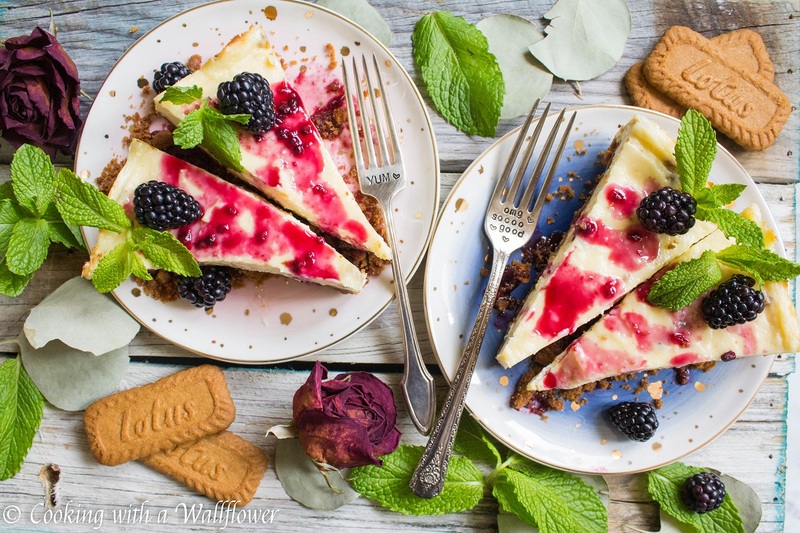 The rich creaminess of cheesecake on a Biscoff cookie crust finished with a sweet blackberry glaze. The ultimate summer dessert. It rivals this Small Batch Vanilla Cheesecake with Strawberry Rosé Wine Sauce as my favorite. Preheat the oven to 325F. 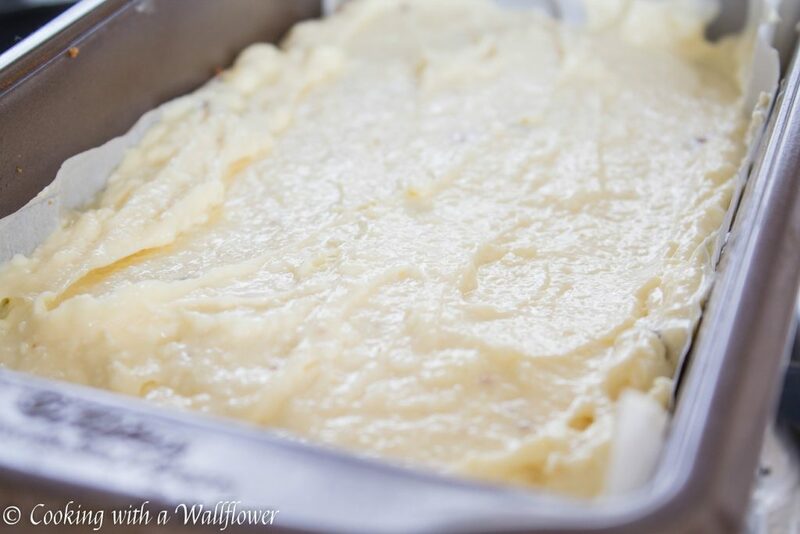 Line a 9×5 inch loaf pan with parchment paper. It’s best if the parchment paper overhangs the long sides. If not, that’s okay too. Place Biscoff cookies into a large ziploc bag and crush the cookies until they become crumbs. I used a hammer. Or alternatively, you can use a food processor. 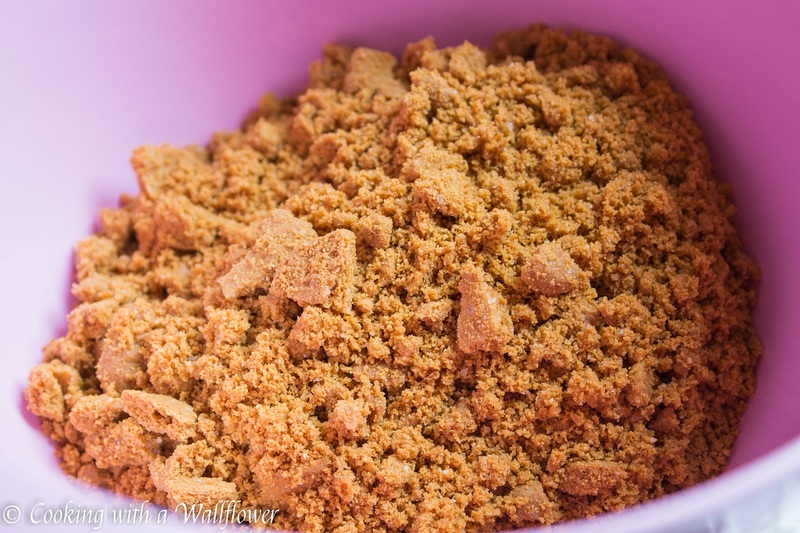 Place the crumbs into a bowl, and add melted butter and granulated sugar. Mix until all the crumbs appear moist. Place the crumbs into the parchment lined loaf pan and press the crumbs firmly until pressed down. Bake the Biscoff crust for 20 minutes until they become slightly browner. While the Biscoff crust is baking, beat together room temperature cream cheese and granulated sugar with a hand mixer until light and fluffy. 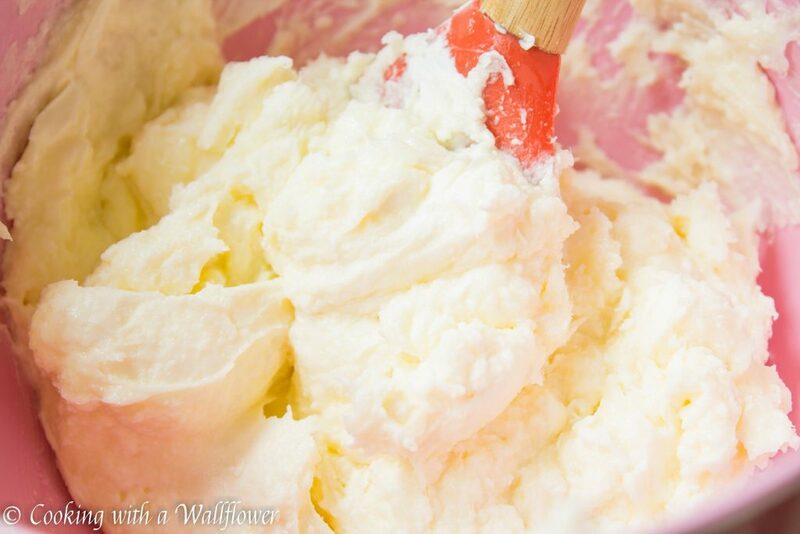 Add an egg and vanilla extract, and mix until creamy and relatively smooth. Spread the cheesecake batter over the Biscoff crust. Lower the temperature to 300F. Bake the cheesecake for about 30-40 minutes until the cheesecake becomes firm. Test the cheesecake with a toothpick. If the toothpick comes out clean, the cheesecake is done. 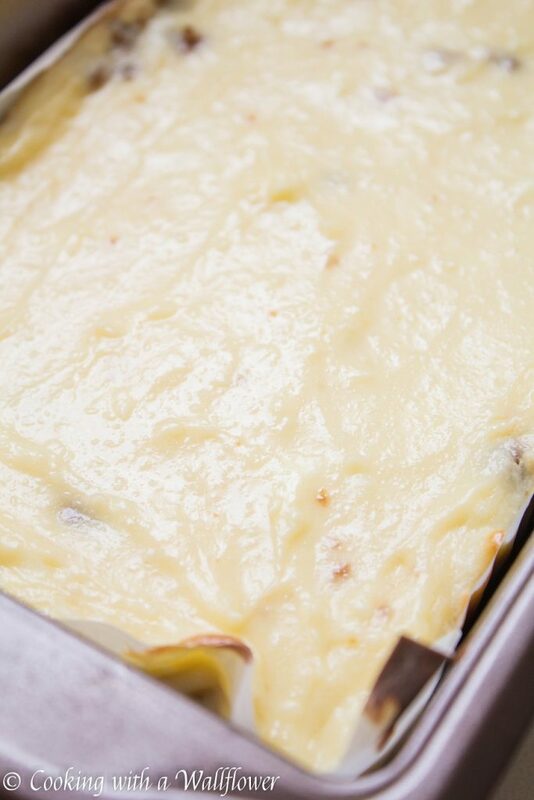 Set the cheesecake on the stovetop to cool near the oven heat to slowly cool down. Rapid changes in temperature can cause the cheesecake to crack. Once it’s cooled down completely, refrigerate the cheesecake for at least two to three hours. 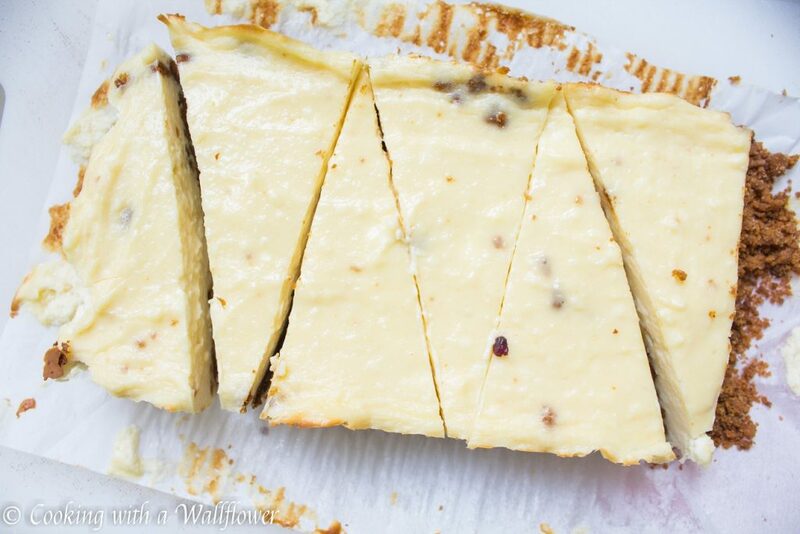 Once ready to serve the cheesecake, cut them into 4-5 slices. You can either cut them into triangles or squares. 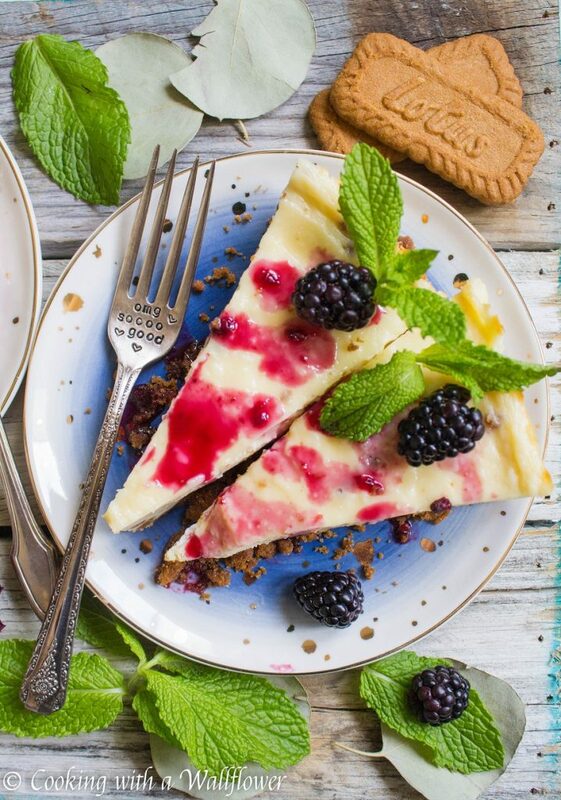 Serve the slices of cheesecake with a blackberry sauce. 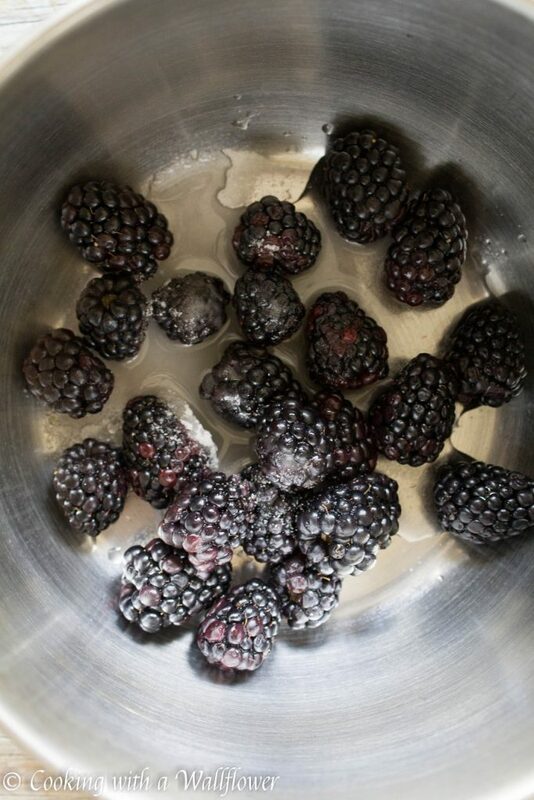 To make the blackberry sauce, add fresh blackberries, granulated sugar, and water into a small pot. 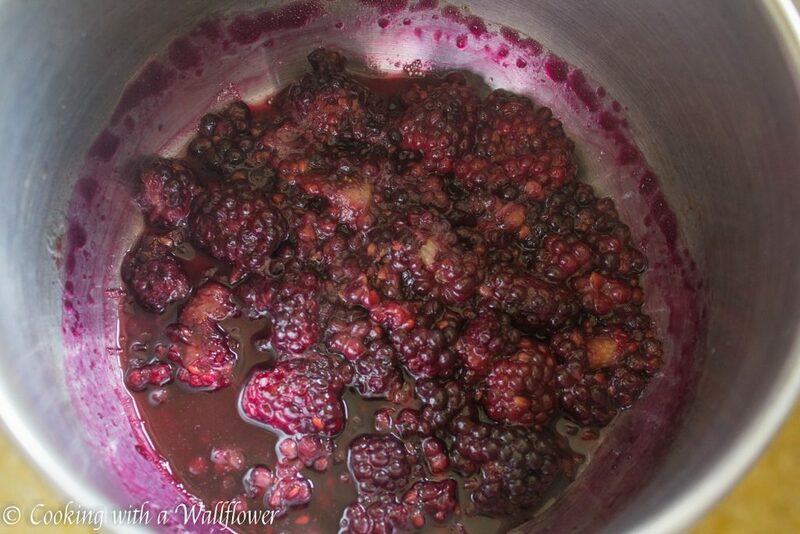 Cook for 5-7 minutes over medium heat until the blackberries have softened and start to burst. 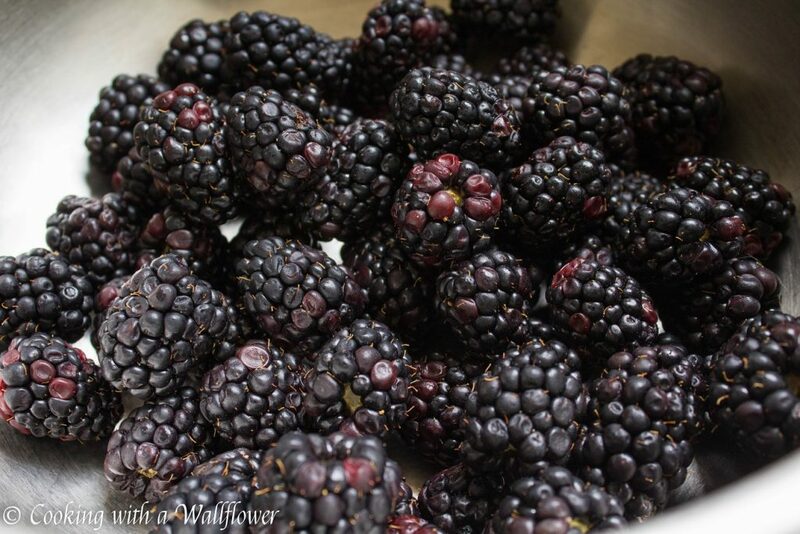 Allow the blackberries to cool for several minutes. Pour the blackberry mixture through a fine mesh strainer over a small bowl. Use the back of a spoon to strain the blackberries. 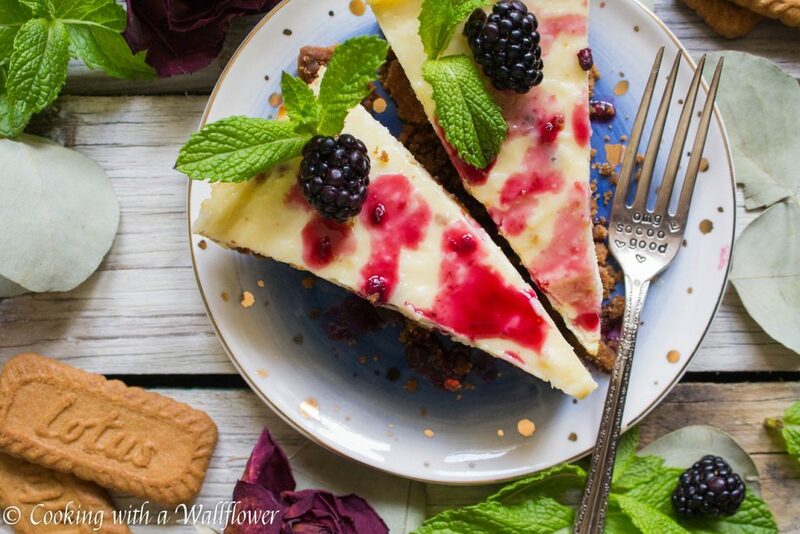 Drizzle the blackberry sauce over the vanilla cheesecake before serving. Preheat the oven to 325F. Line a 9x5 inch loaf pan with parchment paper. It’s best if the parchment paper overhangs the long sides. If not, that’s okay too. 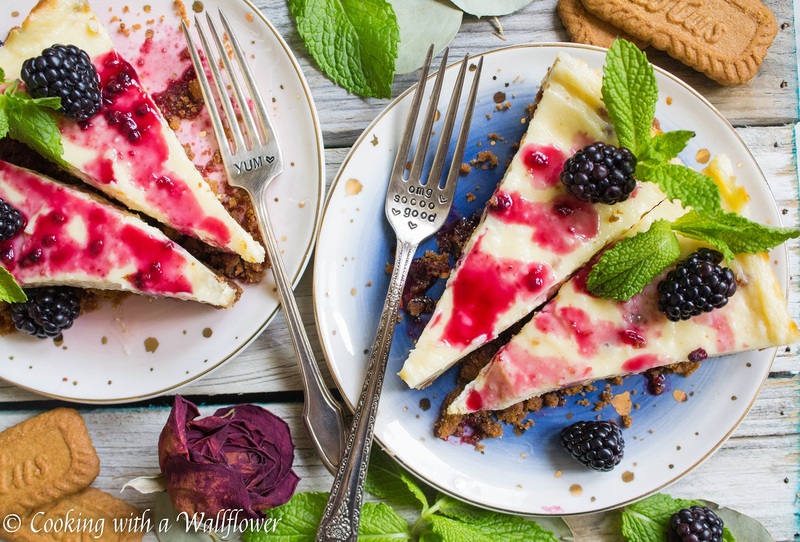 This entry was posted in Desserts, Farmer's Market, Quick and Easy, Recipes, Summer Cravings, Vegetarian and tagged cheesecake, dessert, quick and easy, vegetarian. Ohmygosh!! I need a ♥️ Button!! Not a like button!! 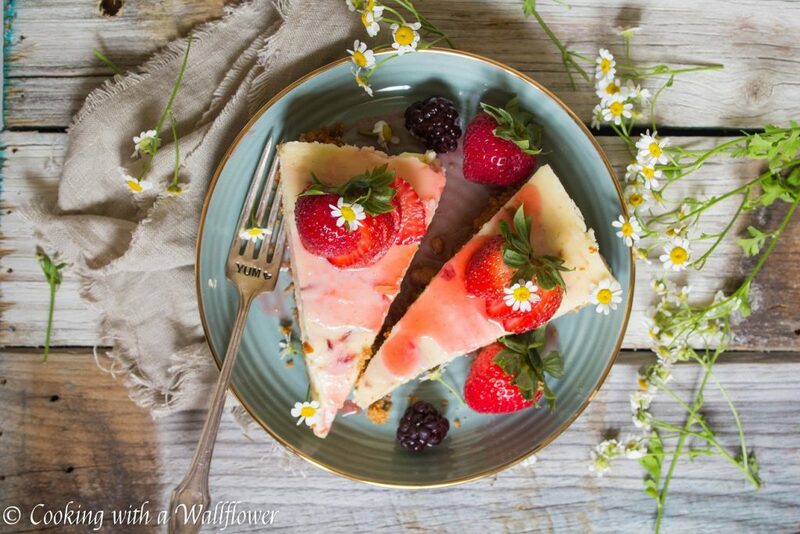 You made cheesecake so simple and ‘doable’! Can’t wait to try it! You have to try it! It’s one of my favorite dessert recipes! Let me know what you think! Thank you so much! And thank you for the info! YUM!!! I’m gonna have to make this! I hope you’ll like it, Hannah! We don’t have graham crackers in Australia but we do have Biscoff! I love these biscuits, what a great idea!!! 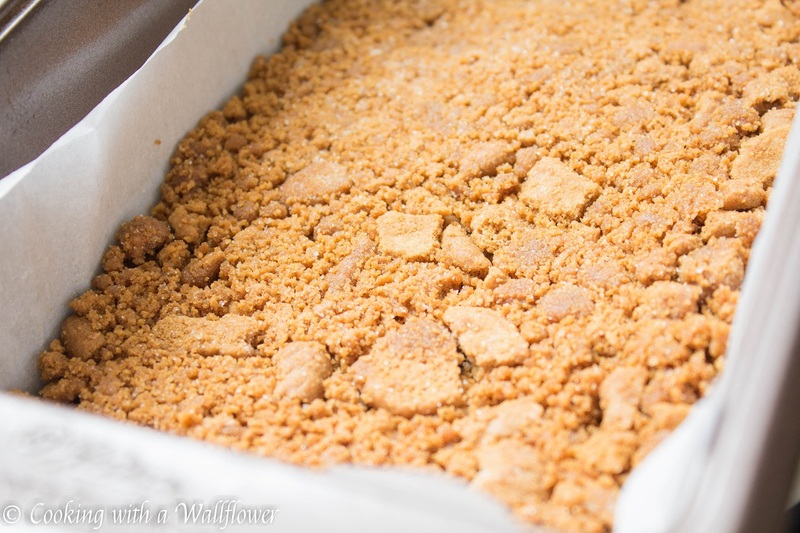 I too love that graham cracker crust but love those cookies! It’s tempting to eat an entire package of them. I know, right? I had to stop myself from eating the cookies. Otherwise there wouldn’t be any left for the cheesecake. Yummy I love cheesecakes! My daughter made a cheesecake without baking last weekend. It was with blueberries! I haven’t tried cheesecakes without baking before. I need to get on it. And blueberry cheesecake sounds sooo amazing. I must give this recipe a try. It looks delicious!